911uk.com - Porsche Forum : View topic - New Porsche 911 Carrera Sport ? 911uk.com Forum Index > General Porsche Chatter > New Porsche 911 Carrera Sport ? 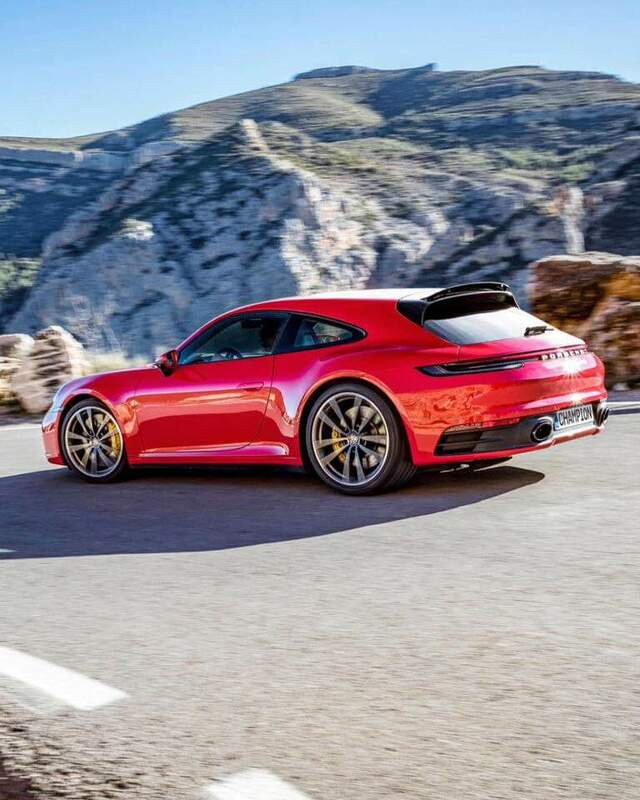 Posted: Mon Apr 08, 2019 9:40 am Post subject: New Porsche 911 Carrera Sport ? The Ferrari FF of the Porsche world. Discuss, yes or no. Although I like the look of it, it's not necessary model that won't enhance the brand on my opinion. So it's a no from me. Has this been officially announced, or is it just a mock-up showing a concept by an enthusiast? That's just a pic of a 992 with a Sport Turismo back grafted on! I like it, just as I like the FF! Then I also have M-B CLS Shooting Brake, so I like that kind of thing. It would have made more sense to me to have made the Panamera GTS a 2 door option with its longer wheelbase, as even with a bit of extra headroom it will have insufficient leg room. Also there is nowhere for the engine to go, so without rear engine it ceases to be a 911 really. Today's 928? Or is this a late April fool! It must be a mock-up and is probably more an artist rendering of what a 2 door Panamera might look like. I don't think that estate hatch would be much use on a rear-engined car. I should have stated above its a rendering. Having said that, to make it work as a true adult 2+2, the wheelbase would need another wedge inserted as the rear seats are for skinnies. I know from sitting I the back of the 997 that it's far too upright for anything more than 1hr at a push. Realistically 30 mins is cruel. perhaps it would be better to shorten a Panamera than lengthen a 911. It would make more sense. Your dog would get very hot if it were sat on top of the engine! It’d have to be a small dog too, can’t think there’d be much room on top. Autocar carried a story the other day about this... it’s a coupe based on the Panamera. Front engined 928 successor makes more sense!